It is not the first time that a nation has imperial ambitions that reaches far beyond its economic capability. Britain in the 1950’s discovered that the financial cost of maintaining the Empire, far exceeded what was politically possible in a functioning democracy. It would eventually of been cost prohibitive regardless, in relation to the size of the domestic economy. This is the situation that Russia now faces. The cost of military expenditures are rising rapidly in the midst of a declining economy. Foreign investors have abandoned the country en masse, in the face of Western sanctions and decreasing opportunities for profit. As recently as 2011, Russia was the 9th ranking economic power. GDP (Gross Domestic Product) five years ago was $1.905 trillion USD (United States Dollar). In Purchasing Power Parity (PPP) the country came in 6th at $3.227 trillion USD. By 2015, Russia has fallen to the 13th global rank with GDP at $1,236 trillion USD and a stagnating PPP of only $3,474 trillion USD. More troubling is the rate of growth within the economy. As with most countries Russian GDP took a hit in the financial panic of 2009, registering a decline of -7.8%. There was a rebound in 2010 and 2011 with a rate of expansion of 4.5% and 4.3% respectively. By 2012, economic growth had slowed to a more moderate rate of 3.4%. This coincided with the return of Vladimir Putin to the presidency. Growth in GDP dropped further in 2013, eking out a rate of just 1.3%. The following year it tumbled to just 0.6 and for 2015 it is estimated to have contracted by -3.8%. The shrinkage is forecast to continue next year at -0.6%. After that economic growth is to return, but at a sluggish pace from 1.0% to 1.5% from 2017 to 2020. Of course this is quite dependent on a partial recovery in global oil prices, which at this point is questionable. GDP is now back to the level seen in the beginning of 2008. President Putin has maintained his high public approval rates among the Russian people, by returning the country to Great Power status in the minds of voters. When polled what makes a nation great overwhelmingly, the electorate in Russia identified two things. They are military strength and wealth. The more their President fails to deliver the latter, the more apt he is to promote the former. The problem with the present governmental policy of subordinating the domestic economy to Russian foreign interests is that it is unsustainable. Disposal incomes are now falling for the first time during the Putin Presidency and domestic consumption has declined by 10%. This situation will eventually erode his popularity over time. Economic reality has already been reflecting in state expenditures. The national budget has been cut by 8% for 2016. 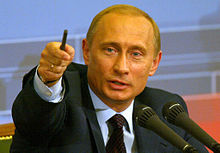 The budget deficit is expected to rise by 3% in 2016, the maximum level that President Putin says he will allow. If Putin maintains the present economic course, Russia will simply run out of foreign exchange reserves over the next few years. Even though they are still impressively large at $3.6471 trillion USD, they were in excess of $3.8500 trillion USD a year ago. The total has been drawn down by over $200 billion USD in 2015. Increasingly an ever greater share of scarce financial resources are being needed to shore up troubled companies, across various sectors of the economy. This is particularly the case in the energy and mining sectors. These two industries have been devastated by the near collapse in global commodity prices. For example, the giant nationalized natural gas corporation Gazprom has seen revenues decline by 86% between 2013 and 2104 alone. The three big major oil companies inside Russia have been ravaged by international oil prices, that have declined by 60% in the last 18 months. These energy behemoths employ hundreds of thousands of individuals and are far too important to the economy, to be allowed to go bankrupt. More importantly Russia is quite dependent on energy exports (68% of the total in 2015), for its foreign exchange earnings. This is an crucial factor when one considers that 25% of corporate debt inside the country, is denominated in American dollars. Oil and gas exports make up almost half of all government revenues. 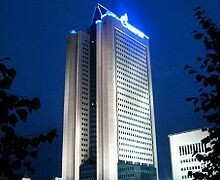 The recent decision by OPEC (Organization of the Petroleum Exporting Countries) to allow unlimited sales of oil on the international market, is going to compound financial difficulties in Russia. 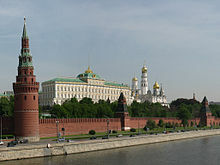 It is estimated that for every $10 USD drop in the price of oil, a 2% drop in GDP will occur with the Russian economy. The recent plunge in oil prices caused the Russian ruble to drop to its lowest exchange rate against the major world currencies this week since the August 24th collapse, which is now known as Black Monday. The ruble reached a low of more than 71 to the American dollar and 78 against the Euro. This coincided with international priced Brent crude dropping to below $37.00 USD and American priced WTI dropping below $35.00 USD. Prices for oil are now down to their lowest levels since 2009. The ruble has lost 50% of its value against the dollar since the beginning of 2014. This has contributed to an inflation rate of 15% this year and an expected rate of at least 8.6% next year. It has become another feature for the Russian consumer. That is endless price increases, which makes financial planning far more tenuous. Under these circumstances, interest rates will need to remain at the double digit level, as the only way to combat runaway inflation. This does have the unfortunate side effect of making new business ventures, next to impossible to commence. 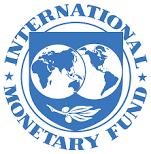 Now that the IMF (International Monetary Fund) has downgraded future world economic growth even further from 3.8% to 3.6%, it is expected that lower energy prices will continue throughout 2016 and into 2017. This does not bode well for the Russian economy already dealing with sanctions imposed by Western countries, in response to the Russian annexation of Crimea and the invasion of eastern Ukraine. These sanctions alone are expected to cost the Russian economy $100 billion USD annually. The European Union is expected to extend sanctions on Russia for an additional six months before the beginning of 2016, unless there is a dramatic improvement in the situation in the Ukraine. At this point that seems highly improbable. The government in Kiev is no mood to plan for the dismemberment of their country according to Russian demands. There is little hope that further negotiations will change this reality. Rising costs for the military action in Syria, Iraq and elsewhere in the Middle East, are an additional burden for the domestic economy. The recent military dispute with Turkey only adds to the woes, as both governments impose, further sanctions and trade restrictions on each other. The most discouraging economic result of 2015, is the plunge in investment. 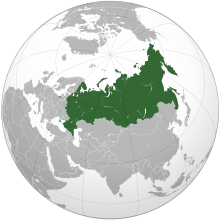 Two thirds of all profits earned in Russia, are created by raw material export companies. The priority has been to pay dividends, since further investment in an economy in full decline no longer makes sense. Across the board, there is a total lack of investor confidence that research and development will lead to future profits. Another factor in the lack of certainty for investors in Russia, is the breakdown in the protection of private property rights. Under Putin there has been a gradual dismantling of institutions that had been in place since Russia became a capitalist country, following the collapse of the Soviet Union. The sharp drop in investment seen in 2013 after a previous gradual decline, is no coincidence. A massive capital flight would follow in 2014, bringing the economy to a standstill by the middle of last year. The government under Putin has also used its power to confiscate the assets of political opponents and those of enterprises that are profitable. Any criminal charges brought against business people of which there were 200,000 in 2014 alone, almost always leads to a complete confiscation of their possessions. With the near collapse of an independent judiciary and media, there is little appeal process against an encroaching autocratic government. Corruption is also on the rise and has become increasingly widespread. 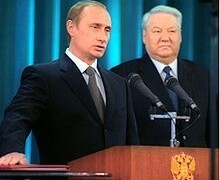 In accepting the present reality it is no wonder that the presidential speech made by Putin December 3rd was far more subdued, than previous ones since his return to the top post in 2012. His usual bombastic rhetoric against Europe and particularly the United States, was far more restrained. The focus remained on the economy, highlighting the need for preparation in lower oil prices and more social issues. Crimea was mentioned, but briefly and the situation in Ukraine not at all. Economic hardship is beginning to hit many groups of the citizenry that have been normally quite supportive of President Putin and his policies. Putin for his part will be looking for ways to ease the burden on the Russian economy, without really changing the power structure of the country. That is centralized control with himself in charge. Putin is quite aware that the majority of Russians are increasingly concerned about the poor state of the economy and their overwhelming wish for better relations with the West. Many feel that further antagonism of the European Union for example, will bring diminishing returns at this point. The movement of countries in Europe to secure energy resources from areas outside of Russia, are only an indication that leverage over the region will be decreasing anyway. This logic cannot be lost on Putin. He remains hopeful that Russian cooperation on combating ISIS and terrorism in general, might be a bridge to better relations not only with Europe, but the United States as well. For now it seems that the foreign adventures of President Putin, have reached and possibly have gone beyond, the carrying capacity of the stumbling Russian economy. It will be difficult to project power further in the near abroad, if the economic conditions inside Russia continue to deteriorate.